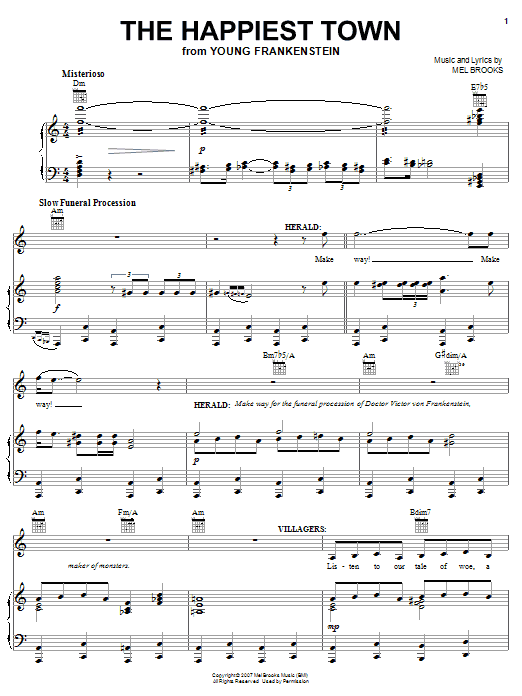 Description: Young Frankenstein is based on the Oscar-nominated smash-hit 1974 film. 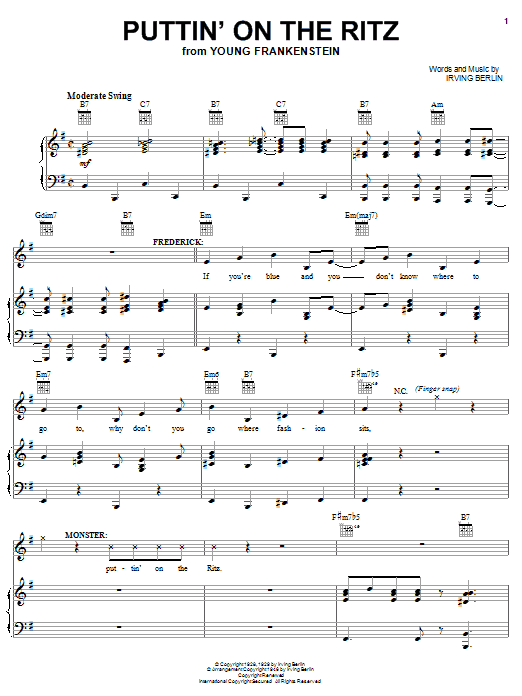 A wickedly inspired re-imagining of the Frankenstein legend based on Mel Brooks' classic comedy masterpiece, the story follows bright young Dr. Frankenstein (that's Fronkensteen) as he attempts to complete his grandfather's masterwork and bring a corpse to life. 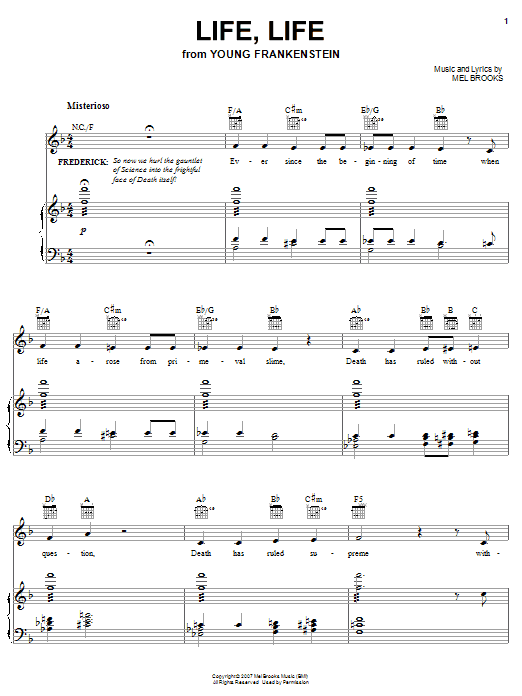 Together with his oddly shaped and endearing helper Igor (that's Eye-gor), his curvaceous lab assistant Inga, and in spite of his incredibly self-involved madcap fiance, Elizabeth, Frankenstein succeeds in creating a monster ?? 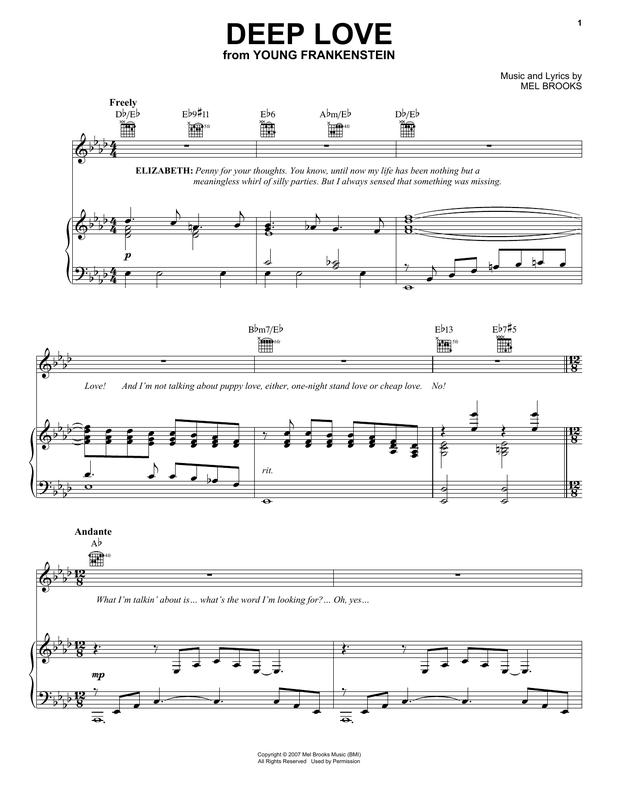 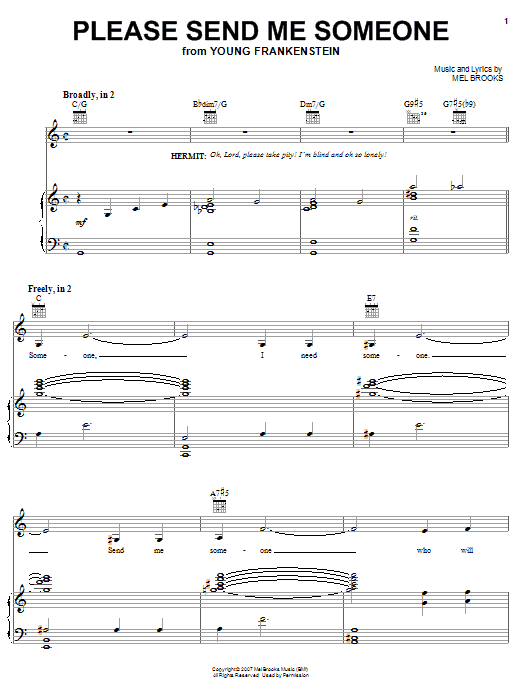 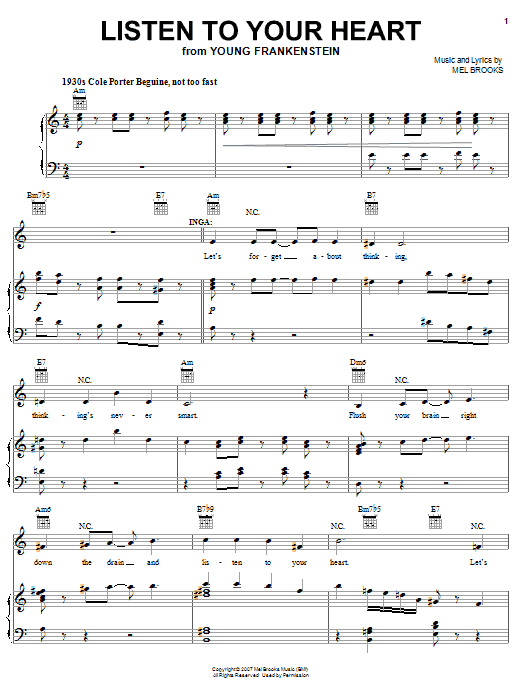 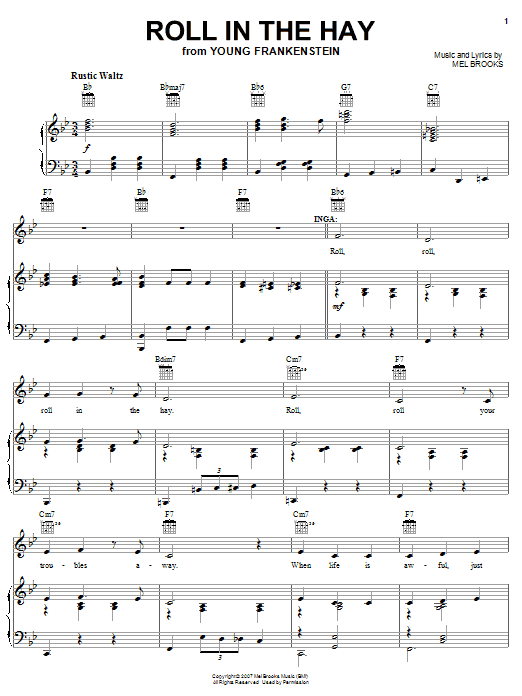 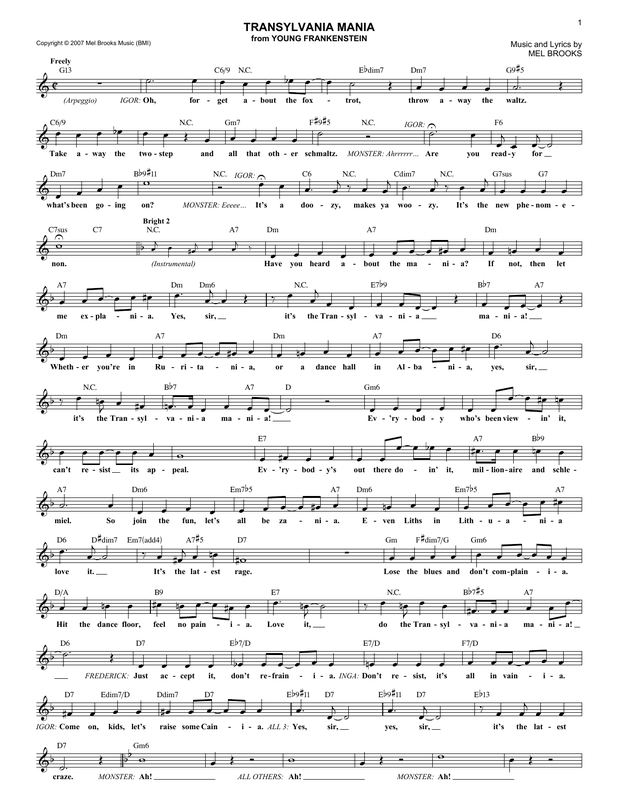 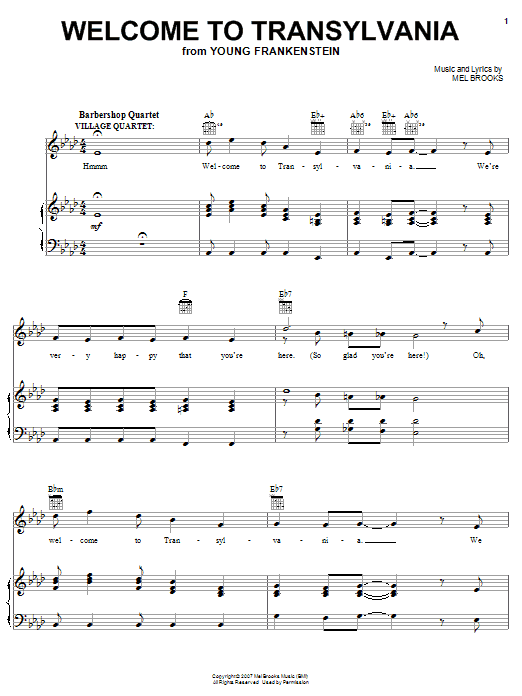 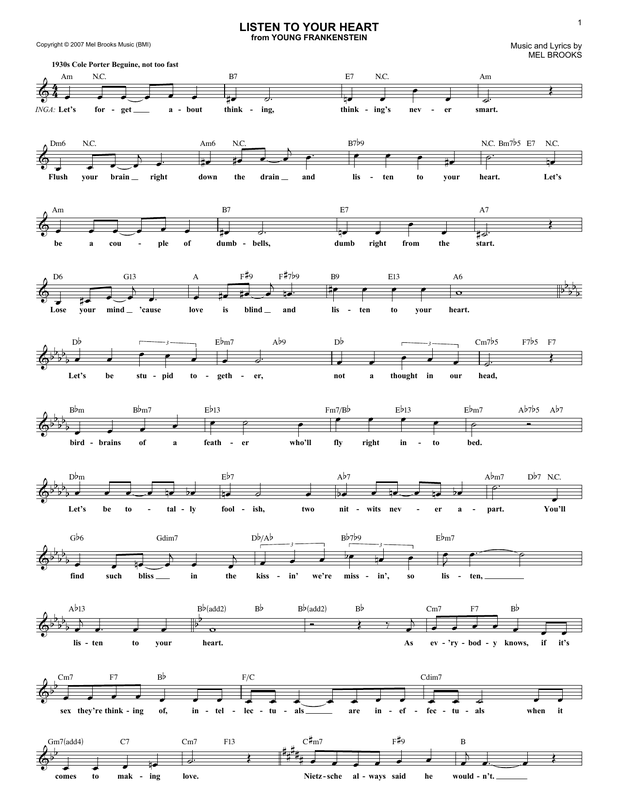 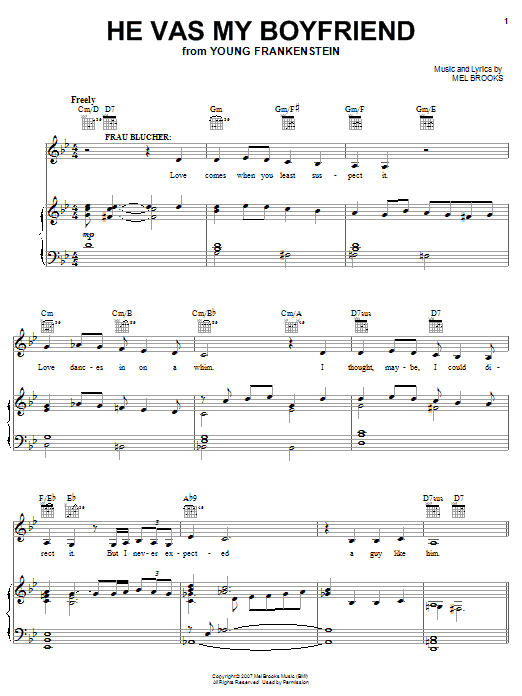 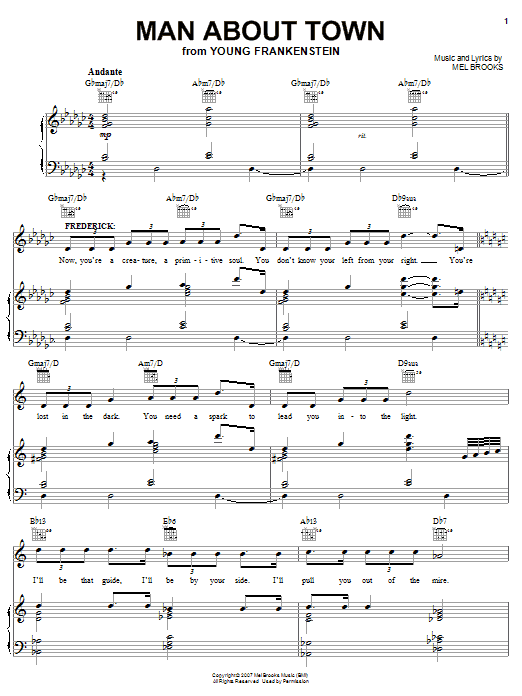 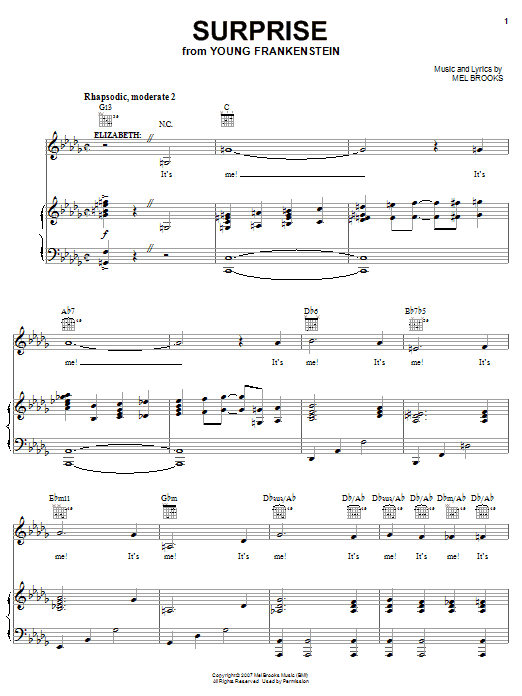 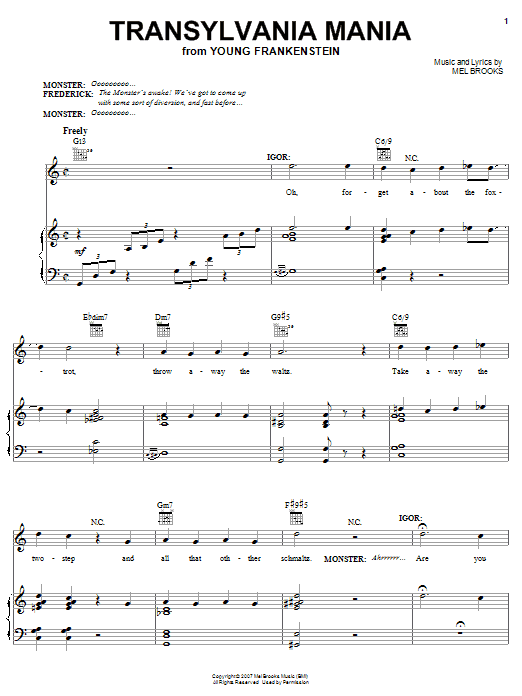 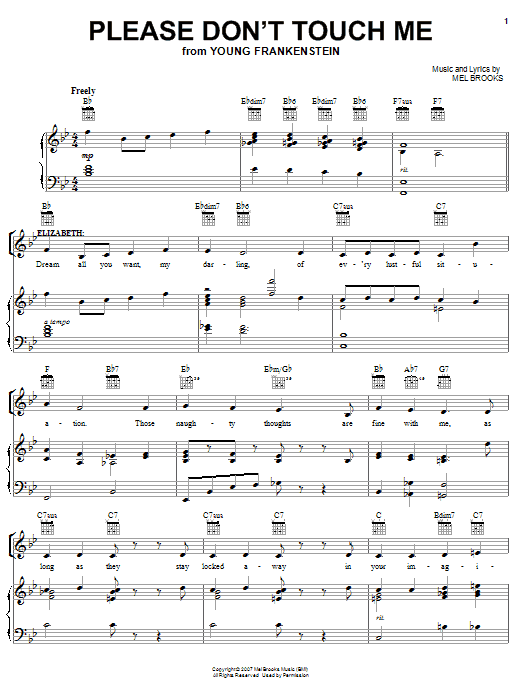 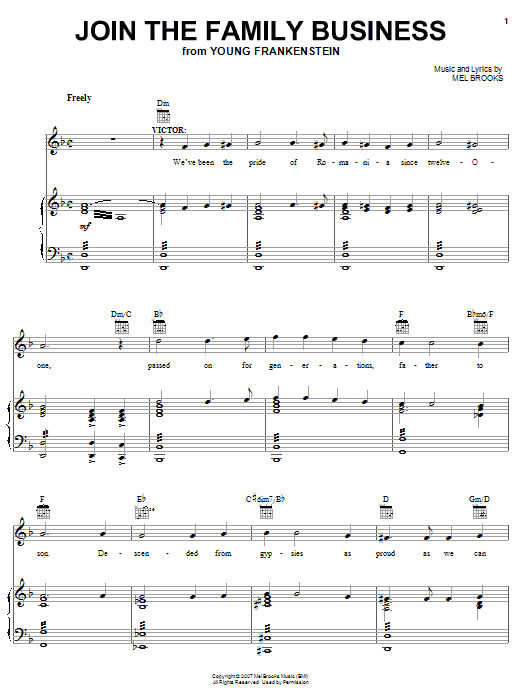 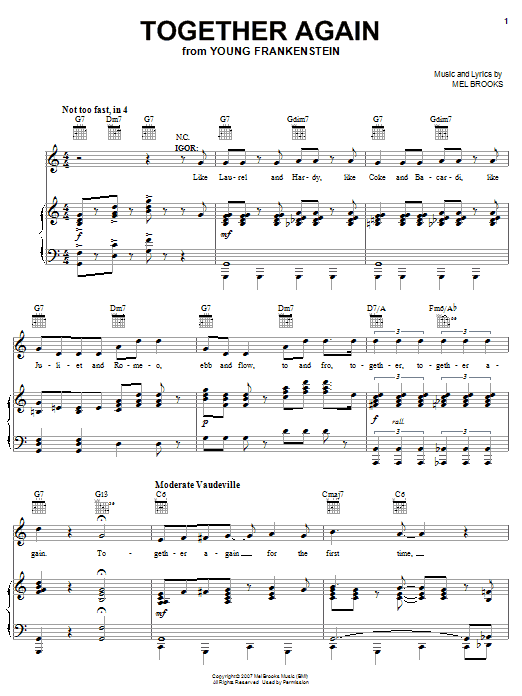 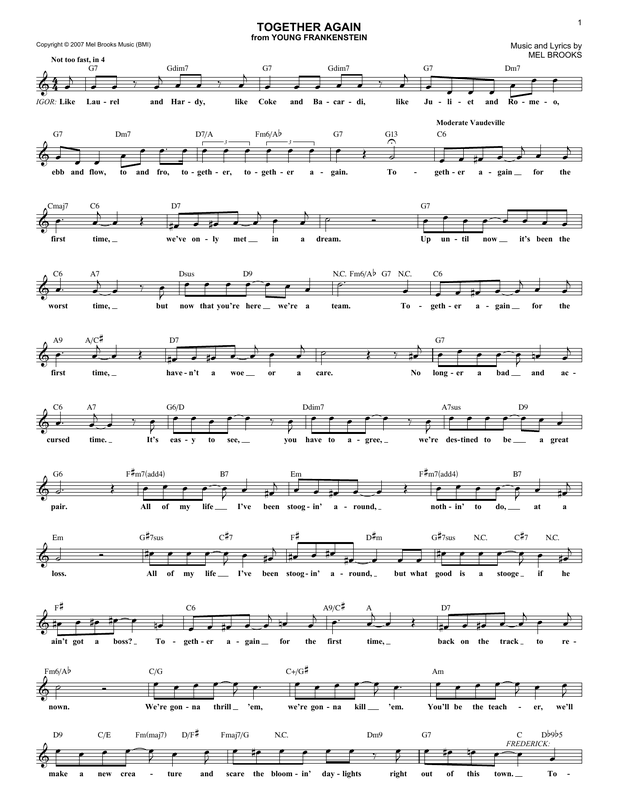 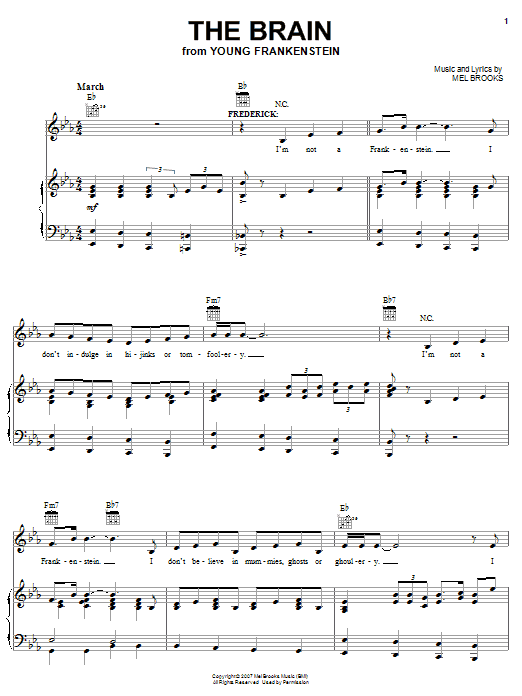 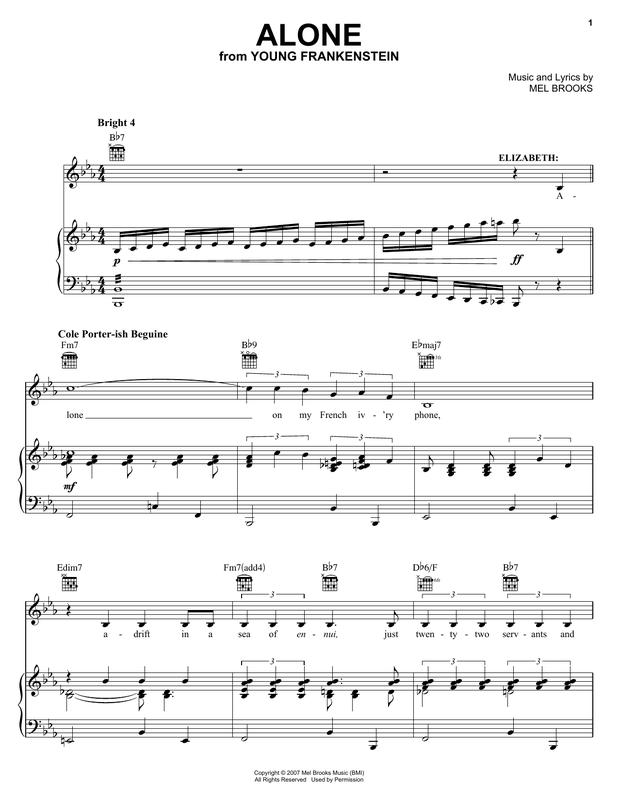 but not without scary and quite often hilarious complications.This digital folio features 5 digital piano/vocal/guitar sheet music selections to songs from the show, with music and lyrics by the three-time Tony Award winner Mel Brooks.